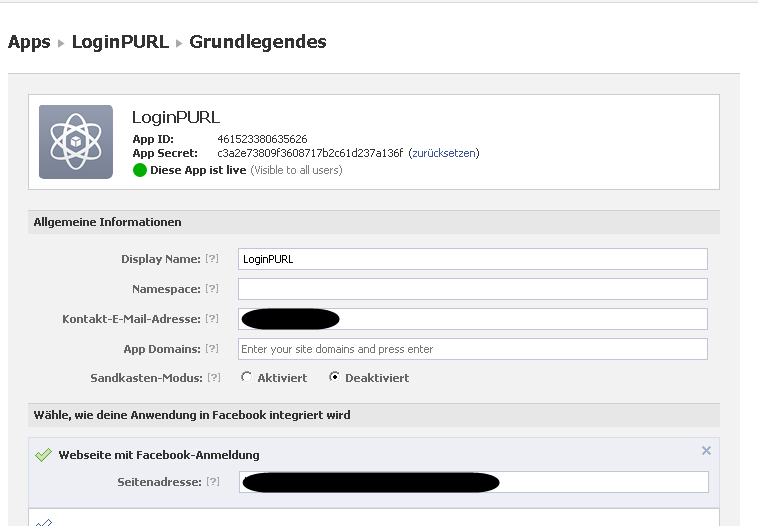 Since version 5 of DirectSmile Crossmedia you are able to use the Facebook Data Connector to get acces to the data from Facebook when creating a tabbed App in Facebook (see our EnergyX-campaign as an example). 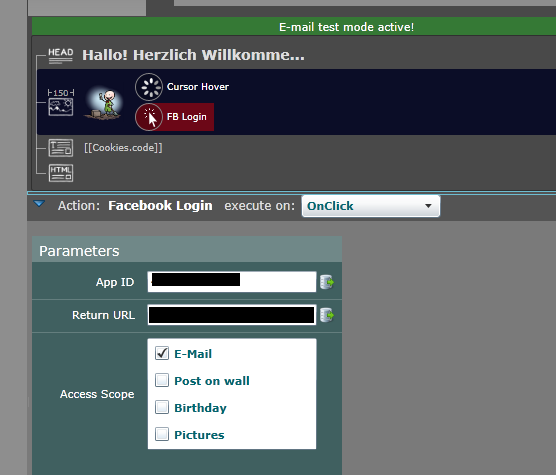 But with the upcoming version 6 we extended the data connector and enabled also the Facebook-webpage-login! Then set up your campaign as usual with at least a static and a personal home page. 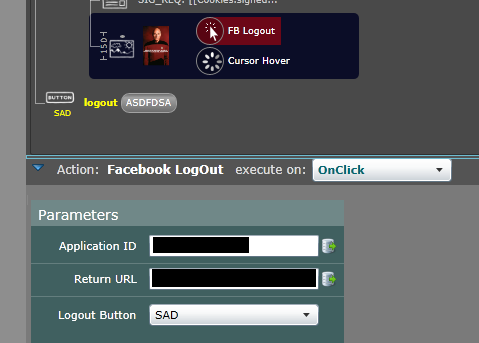 On the static home page we will need an item with a „Facebook Login“-ScriptAction which needs to be configured as usual with the app ID and the registered return URL – please be aware that Facebook will compare each URLs case-sensitive, this requires to be carefull when filling out the forms. That’s all you need 🙂 Now you can use the datarelation as usual to get more information about your visitors. This entry was posted on Donnerstag, 19. Dezember 2013 at 11:46 and is filed under DirectSmile Crossmedia. You can follow any responses to this entry through the RSS 2.0 feed. You can leave a response, or trackback from your own site.